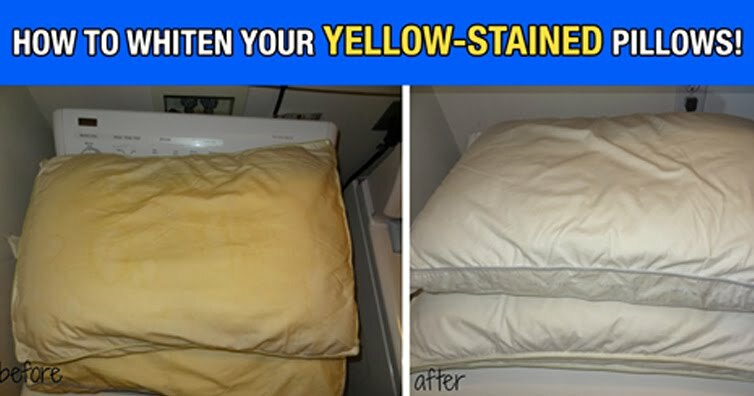 If your pillows have yellowed since you bought them, it's probably time to give them a good washing! It is actually recommended that you wash your pillows at least twice a year. This process will restore your pillows to their former glory, plus it's good for your personal hygiene!